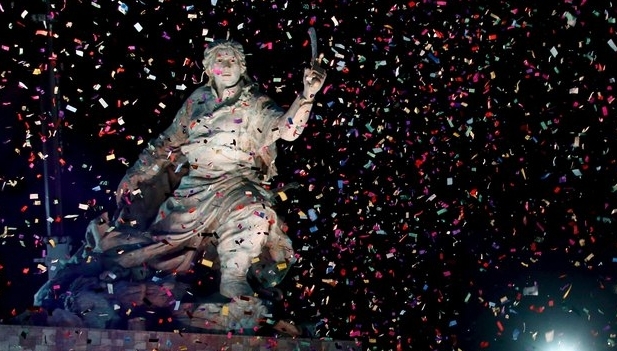 Confetti rains on the newly unveiled statue of Bolivian Juana Azurduy de Padilla, behind the government house in Buenos Aires, Argentina. 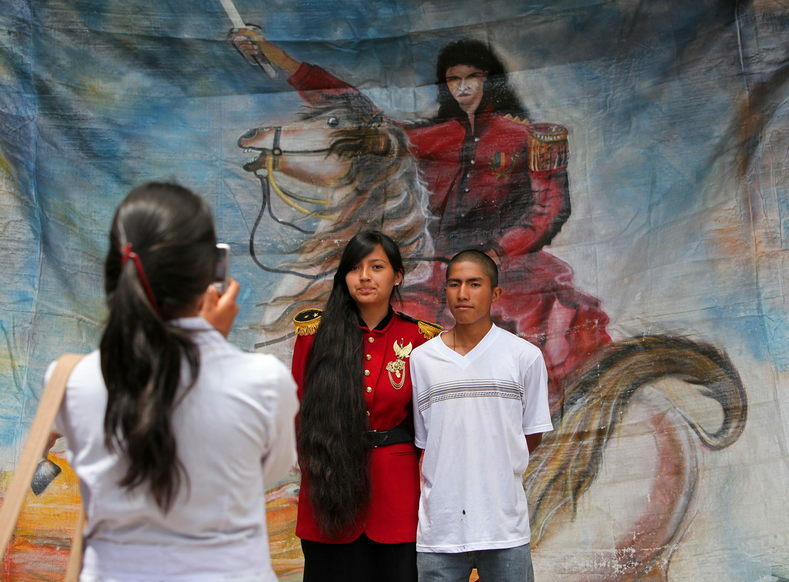 The presidents of Argentina and Bolivia have unveiled a statue of Bolivian war of independence heroine Juana Azurduy. 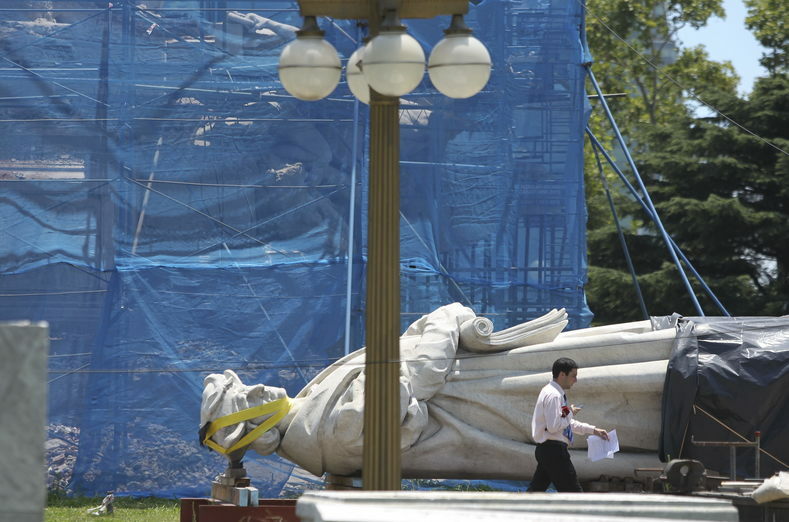 The 25-ton, 16-meter-high (52-foot-high) statue replaces a polemic statue of Christopher Columbus that was taken down. Juana Azurduy was a guerrilla independence fighter, born in 1780 in the viceroyalty of Río de la Plata. She was a key figure in the wars of independence, temporarily liberating the Bolivian town of Potosí from the Spanish in 1816. Forgotten and in poverty by the time of her death in 1862, Azurduy was awarded rank of general in the Argentine army in 2009. 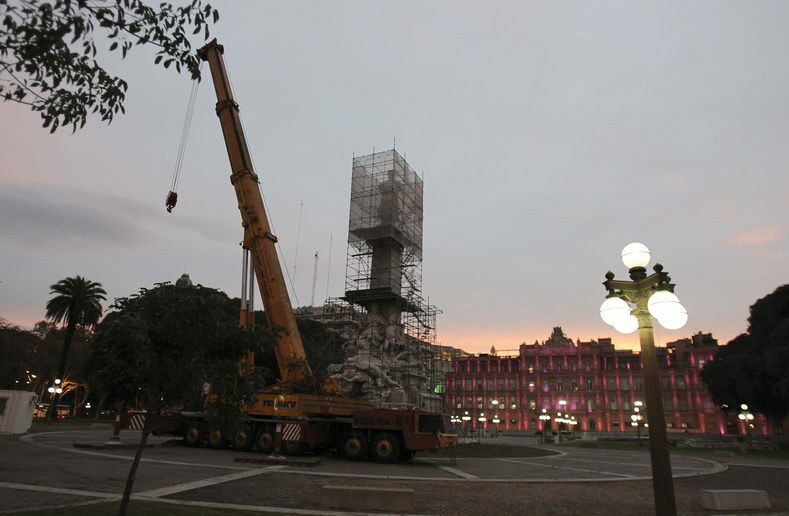 The present from Bolivia was unveiled Wednesday behind Argentina’s presidential palace during an official visit by Bolivian President Evo Morales. The Columbus statue became a political flashpoint between Argentine President Cristina Fernandez’s center-left government and conservative Buenos Aires Mayor Mauricio Macri when it was brought down. 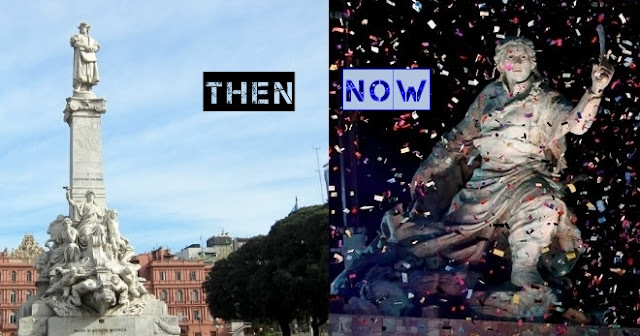 Argentina’s Italian community and officials in Buenos Aires said the statue belonged to the city not the federal government. But Fernandez defended her decision to replace the Italian explorer with the South American independence heroine. The Argentine and Bolivian leaders also signed border security and trade agreements. Responses to "Argentina Replaces Columbus Statue with Indigenous Heroine"
Barbarism?? That was Columbus' speciality.